In a previous tutorial, we used Vue to create page transition animations. I wanted to use the same project from that tutorial for the basis of this really quick technique today. If you're unfamiliar with CSS's Cubic-Bezier function, it's time to end the ignorance! It allows you to fine-tune the curve from which a given object is animated using four points. This allows you to take a simple animation that goes from point A to point B on an X or Y axis, and control the location and speed at which it arrives to point B. When we combine cubic-bezier with page transition animations, it provides us with an extra layer of control over how these page transitions take place. As I mentioned above, we will be using the code generated from the previous tutorial here. I've created a github repo that you can use to quickly clone the example project and then modify it as we go along. In the previous tutorial, I made a mistake. I forgot to specify mode='out-in' on the transition element. Oops! 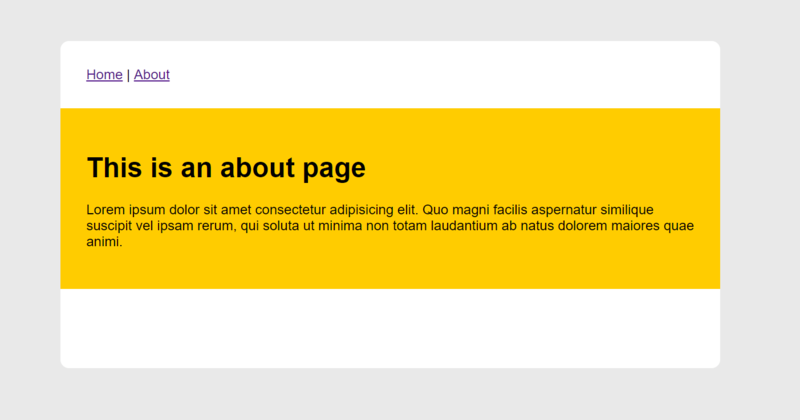 This negates having to set position: fixed on the .page class. Now, save the file and run yarn serve in the console and click back and forth on the navigation. You'll see a nifty little fading and moving animation between the pages. You can further control this with cubic-bezier! It's actually dead simple. If you save it and click between the navigation links, you will see now that when a page leaves, it actually shifts over and it's no longer a static, boring tween animation from point A to point B. Not much as changed, with exception to some stylistic changes and the values of coming and going animations. Now, if you save and view the result in the browser, the effects of cubic-bezier animations are much more noticeable. 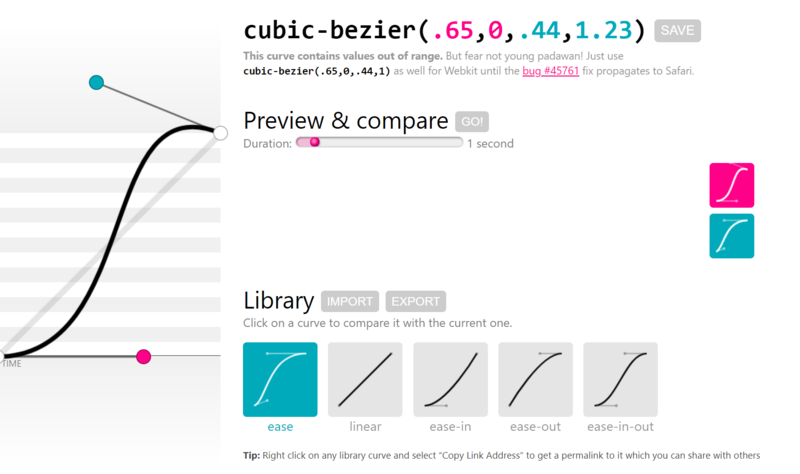 There's a really nifty web-based UI for creating your own cubic-bezier values. You're able to adjust the curve on the left and it will provide you with the 4 values necessary to create such a curve for the cubic-bezier() CSS function. You can preview it and compare it against a standard linear animation. Try creating your own curves and replacing the values within our project! As you can see, cubic-bezier allows you to create awesome animation for page transitions.